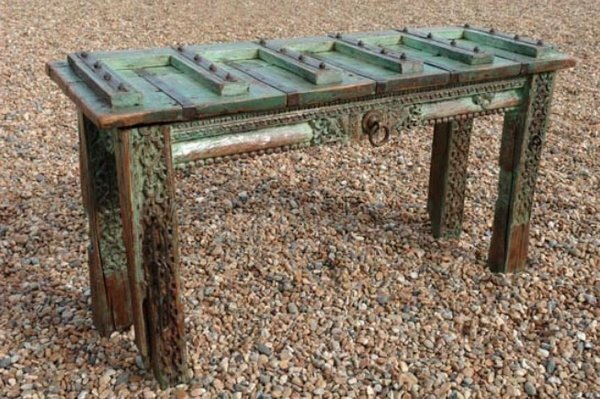 This unique feature table has been crafted from ancient timbers sourced from the ruins of a Maharajas palace, in the Rajasthan area of Northern India. 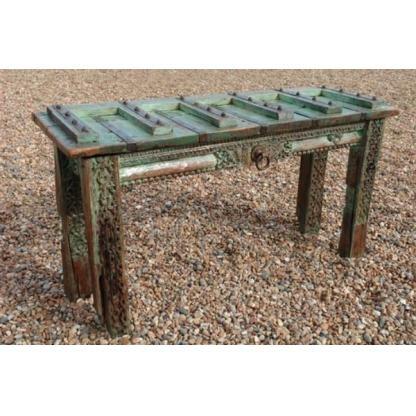 The table top is one half of a fortified door, with the legs and aprons made from the ornate, intricately carved door frame. The iron details are original fixtures from the door. The table is finished with a thick section of clear, bevelled glass, floating on the iron studs of the door. (Glass not displayed in photo).